1. The increased prestige and exceptional honor which was conferred upon the Church of Rome is clear. Consequently the Church also recognized a primacy of honor and as the first see in the order of that which was associated with the exceptional dignity of the Patriarchal Thrones. The reasons are clear: a) It was the Church of “glorious Rome”, the capital of the empire, b) it was active in spiritual life and carried out a pastoral care for the local Churches which surrounded it and c) it was the only city in the Latin west which had received the presence and preaching of the First Leaders of the Choir of the Apostles who had been martyred there and whose tombs wee located in Rome. 2. In particular, the Church of Rome could boast of its apostolic lineage from the “leaders of the Apostolic choir” [Sts. Peter and Paul] which came to later be limited to [a lineage from St. Peter alone] and expressed with the term “petrine”. It is necessary to note however that in none of the canons of the Ecumenical Councils is attribution of any dignity or rank of honor to the Church of Rome connected with her apostolic origins which otherwise is considered a given. 3. In the East, the meaning of apostolicity was defined differently and thus acquired a different significance. At the same time however, the entire Church accepted apostolicity not as the exclusive privilege of Rome, but as something belonging also to the thrones in the East which were accordingly honored with special privileges. 4. The ancient Church —in both the East and the West— had recognized a primacy of honor and dignity; but not a primacy of authority (of superior jurisdiction) over the entire Church. The occasional attempts on the part of Roman agents to add to the pre-eminence of honor a primacy of authority, of “petrine” origin, was not even something undertaken by the majority of the bishops of Rome and it was certainly not the set and constant ecclesiological position of the whole Latin Church of the West in the time of the Ecumenical Synods. 5. Whenever a major issue of faith and ecclesiastical order came to be disputed, every bishop, but even more so the bishop of “glorious Rome”, possessed not only the inalienable right but even had it as a duty incumbent upon him to intervene in the workings of another local Church. This practice was considered completely acceptable during the first eight centuries of Christianity. Indeed, in exceptional circumstances, ecclesiastical unity was not necessarily always preserved by him who possessed the leadership or the throne with seniority of rank, but by the one who in a particular circumstance expressed the true faith; he was considered possessor of the “primacy of truth”. This is what happened with St. Cyril at the 3rd Ecumenical Synod as well as with St. Leo at the 4th. On the other hand, when the bishop of Rome showed himself unworthy of his episcopal ministry, churches in the East but also in the West could and did sever communion with him. 1. The Ecumenical Synods constituted for the ancient Church the crowning moments of her history revealing her unity in the Truth. Similarly, the ancient Church established with the utmost clarity that the highest authority in the Church could not be a single person, but only the Ecumenical Synod, an institution whose decisions demanded universal respect. 2. The power to convoke an Ecumenical Synod belonged exclusively to the emperor who was also responsible for set the agenda. Certainly, it was imperative that he consult with the first-hierarchs of the Churches and most importantly with the bishops of Rome and Constantinople. But the fact that the bishop of Rome was the first see in Christendom gave him no right either to set the agenda of the Council, nor did he possess the power of veto its decisions. 3. At none of the Ecumenical Councils was the reigning pope personally present, but in most cases he was represented by a delegation of clergy. In addition, at none of the Synods did his delegation preside. The fifth Ecumenical Synod has particular significance for the question of the role of Pope of Rome within the communion of the Church since in addition to the question of the Three Chapters, it pronounced [indirectly] on this question [by] condemning Pope Vigilius after his unjustified refusal to meet in council with the other Patriarchs. For the ancient Church in both the East and the West, the pope was subject to synodal judgment and authority in not only matters of faith but also in those regarding the canonical order of the Church. 4. The main role of the bishop of Rome in the Ecumenical Synods as first-throne among the Patriarchs was to formulate in his dogmatic epistle, which in a way operated as the central proposal for the Synod, the Orthodox faith and ecclesiastical tradition regarding the theological controversy at hand, and on the basis of which the synodal discussions were carried out. Consequently, the position of the pope of Rome in the time of the Ecumenical Synods was within the Synods and not above them. Only under the presupposition of his participation in the procedures of the synod was the pope recognized as “head and father and first” of the bishops and patriarchs gathered together; he does not simply make a pronouncement which the others then obey, but “he confers… together with all”. 1. The Church sought by means of the Ecumenical Synods to confront the distortion of the Orthodox faith and the disturbance of ecclesiastical unity produced by heresy. It is obvious that the participation, agreement, and presence of the bishop of Rome and consequently of the Church “until the climes of the ocean” in the synodal decisions was required in order to maintain unity and to prevent the creation of schisms. In this way, when it was successful, the Fathers of the synod would express their joy and enthusiasm with great intensity. 2. The Ecumenical Synod pronounced from a place of absolute authority without depending on the will or decisions of any individual persons. And this practice was universally accepted by the ancient Church of both East and West. Thus decisions were made in the absence of the bishop of Rome or even in spite of his outright opposition. Moreover, even in cases where his suggestions were accepted, they were first examined by the Synod, compared to the ecclesiastical tradition and only when synodal agreement was secured would they be accepted. The position of the ancient Church has been recorded in an official and categorical manner in the “synodal decree”, the “Horos” of the 5th Ecumenical Synod: “During the common deliberations, the light of truth dissipates the darkness of falsehood, once teach of the things suggested for discussion are placed under judgment. Because in matters of faith, no one has the right to go forward on behalf of the entire Church since all of us have need of our neighbor”. It would be no exaggeration for us to say that the 5th Ecumenical Synod, in the Holy Spirit, foresaw the development of the West and censured dogmatically in an explicit and forthright manner Vatican I’s dogma of papal infallibility. According to the Synod, the pope cannot be infallible, either ex sese or ex consensus Ecclesia. 3. The primacy of the bishop of Rome but similarly the equality of the five Patriarchs is testified to historically by the “stamps of signature” on the synodal decisions. All of the patriarchs as well as the bishop sign stamp or seal and in a unified fashion in agreement with the ranking of honor among the patriarchal Thrones. Certainly, the bishop of Rome signed first as the first-throne of the Ecumene [the empire or civilized world]. The pope never contested that he should be granted a special type of signature. 1. The holy Canons as decisions of the Ecumenical Synods reflect as well as formulate the ethos and practice of the Catholic Church. Consequently, disdain for their ecumenical authority and validity is unacceptable. 2. The basic canons which refer to the seniority of honor of the primates of the patriarchal Churches are the 6th and 7th canon of Nicaea I, the 3rd canon of Constantinople I, the 28th canon of Chalcedon and the 36th canon of Constantinople III (Penthekti). 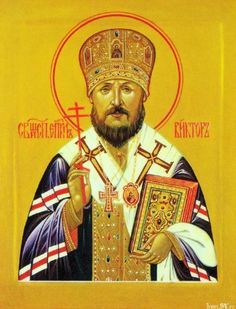 The defining canon concerning the position of the bishop of Rome in the ancient Church is the 28th canon of Chalcedon which interprets the 3rd canon of Constantinople I and constitutes the basis for the 36th canon of Constantinople III. The importance of the 28th canon of Chalcedon is guaranteed by its content but also in its means of promulgation a.) Regarding the content: it gives canonical weight to the seniority of rank of Rome, granting to Constantinople “the same rank” as that of Rome, but at the same time, it places under contention the most crucial point upon which the supremacy of the papal throne over against the other patriarchal thrones rests—according to Rome: petrine apostolicity and the granting of petrine authority by divine law over the entire Church. b.) As regards the means of promulgation: The categorical opposition and the intense reaction of Leo the Great in Rome not only did not invalidate this canon, nor did it even take away from its canonical weight, strength, or ecumenical character. This is self-evident in ecclesiastical order since it was unthinkable to the ancient Church that decision of a synod, and especially that of an Ecumenical Synod, could be invalidated by a local Church or by a single person. Not even the pope of Rome was recognized as having the right to approve or reject synodal decisions. On the contrary, he too was obligated to comply. 3. The Roman understanding which pope Leo the Great firmly supported concerning the “petrine” and apostolic character of the Churches of Rome, Alexandria, and Antioch, and the supposed conferral of an exceptional dignity upon these sees never obtained any canonical foundation nor did it exercise any effect upon the life of the ancient Church. Even in Rome these ideas were never put into practice and were quickly abandoned. In the official Theological Dialogue of the Orthodox Church and Rome, it has been suggested that the “principle of unity in diversity” can provide a means of overcoming the impasse which the papal dogmas have created. This suggestion, according to its proponents, is based on the decision of the Synod of Constantinople in 879-880(1), but as it is currently formulated, it in essence merely carries out the program of the Decree “concerning Ecumenism”(2) from the Second Vatican Council(3) and seeks the unity of the Churches in spite of differences in dogma. In the other words, the Western Christians will accept their dogma concerning St. Peter and the dogmas of papal primacy and infallibility as they have been formulated by the first and second Vatican Councils, without however demanding their imposition upon the Eastern Church, so that the Orthodox are not required to accept them as long as they do not characterize them as an heretical falling away from the ancient faith and practice of the Church. This was Cardinal Joseph Ratzinger, later Pope Benedict XVI came to formulate this proposal. (4) According to this view, the ancient Church governed itself this way: the West accepted the papal primacy of authority without imposing it upon the East and the East tolerated this difference of Western practice without condemning it as an ecclesiological aberration; East and West believed differently but in spite of this, we remained in full ecclesiastical communion(5). Put another way, “legitimate diversity is in no way opposed to the Church’s unity, but rather enhances her splendor and contributes greatly to the fulfillment of her mission”(6) . Before we proceed to our necessary and brief critique of this suggestion it is necessary to understand its true implications. Particularly revealing on this point is the speech which Pope John Paul II gave to the Eastern Catholic Patriarchs (Uniates) in 29/9/1998. Among other things, he said to the Uniate Patriarchs: “I ask you to give the Pope your help in the name of that responsibility for re-establishing full communion with the Orthodox Churches (cf. Orientalium Ecclesiarum, n. 24) which belongs to you as Patriarchs of Churches that share so much of the theological, liturgical, spiritual and canonical patrimony with Orthodoxy. In this same spirit and for the same reason, I would like your Churches to be fully associated with the ecumenical dialogues of charity and of doctrine at both the local and universal levels”. And the pope continues, “The particular role of the Eastern Catholic Churches [he means here the Uniates] corresponds to the one left unfilled by the lack of full communion with the Orthodox Churches. Both the Second Vatican Council’s Decree Orientalium Ecclesiarum and the Apostolic Constitution Sacri canones (pp. IX-X) which accompanied the publication of the Code of Canons of the Eastern Churches have pointed out how the present situation, and the rules governing it, look towards the full communion we desire between the Catholic and Orthodox Churches. Your collaboration with the Pope and with one another will show the Orthodox Churches that the tradition of ‘synergy’ between Rome and the Patriarchates has been maintained — although limited and wounded — and perhaps also strengthened for the good of the one Church of God present throughout the world”(7). The above texts shows clearly how Rome desires and seeks—despite its assurances to the contrary(8)—full communion obtained with Orthodoxy on the basis of an enhanced version of the Unia(9) which can also include the Orthodox(10). Toward this aim, the contribution of the principle “diversity in unity” is formative(11), despite the fact that is it neither historically proven nor theologically acceptable as presented here. 1. The papal legates accepted the synodal vetting of the papal dogmatic epistles of Leo the Great, St. Agathon, and St. Adrian to determine if they were in accord with the ecclesiastical tradition. 2. The views of St Leo the Great against canon 28 of Chalcedon were not even accepted by his [immediate] successors and were abandoned in the West until the time of the Schism. 3. The refusal of the latin bishops of the west to accept pope Vigillius’ decisions concerning the faith and consequently his repeated condemnations by Western Synods (both before and after the 5th Ecumenical Synod). 4. The expressed self-understanding of the same pope Vigilius who did not once claim to possess some alleged superior authority derived from divine right or ‘petrine’ authority which meant that the Church and the rest of the Patriarchs ought to be subject to him. Additionally, pope Vigilius never accused the Synod of being contrary to the canons or invalid simply because of his disagreement or absence. On the contrary, he explicitly promised that he would conform to the decision of the Synod concerning the faith and considered its decision to censure him as just. 5. The convocation of the Synod of 125 bishops from all of the regions of the jurisdiction of the Patriarchate of Rome under the presidency of pope St. Agatho in order to refute and pronounce on the heresy of monothelitism shows in practice the firm ecclesiological ethos of the ancient Church of Rome. It is indicative how the Synod of Rome mentions that they came to together with great labor “from the climes of the ocean” in order to consult in Synod so that “that our humble suggestion might proceed from a council of wide-spread influence, lest if only a part were cognizant of what was being done, it might escape the notice of a part”(12) . 6. 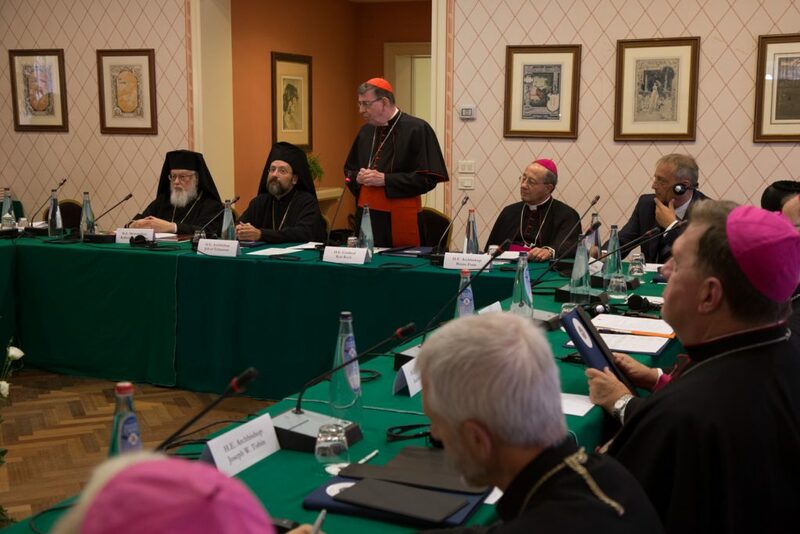 The cooperation of Rome in the condemnation of Pope Honorius at the 6th Ecumenical Synod. 8. 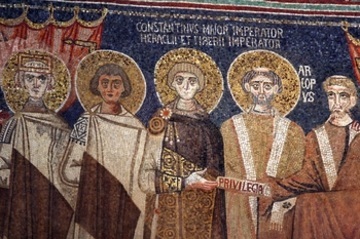 A series of canons from local Synods and the Holy Fathers approved by the 2nd canon of Constantinople III and the 1st canon of Nicaea II show that that ancient Latin Church of the West recognized, just like the East, that the Church of Rome and her bishop were to be given great reverence and possessed a primacy of honor, but not a primacy of jurisdiction or an infallibility in defining matters of faith: for example, the Acts of the Synods of Carthage in Latin-speaking north Africa as well as their decisions to forbid final appeals to Rome, or the dispute between pope St. Stephen and St. Cyprian about the baptism of heretics all demonstrate this. 9. Finally, the conclusion of the letter of the Synod of Carthage already expresses the danger which the Latin Fathers of North Africa foresaw in the first demands of Rome to extend her jurisdiction in judging the bishops of Africa: “As for executors, therefore, though they have been demanded by some for our Clerics, do not send us any, nor grant us any, lest we seem to be introducing a cloud of smoke from the world into the Church of Christ, which offers the light of simplicity and the day of humility to those who desire to see God”(13). All of the above demonstrate that in the Western Church in the time of the Ecumenical Synods recognized no “petrine primacy” or “petrine function of unity” nor any supreme authority over the entire Church or the ability to pronounce infallibly on matters of faith. The occasional expressions of papal representatives or of certain papal epistles which explicitly demand some kind of primacy of authority were never representative of the understanding of the whole Western Church nor did they reflect western theology within the patriarchate of Rome during the time of the Ecumenical Synods. Hence, we can see that during the first eight centuries of the life of the Church, East and West held to identical views concerning the basic ecclesiological principles which governed the role of the patriarchal Churches including that of the bishop of Rome. Nevertheless, even if we did suppose that there existed an important difference in views between East and West during the first eight centuries regarding the essence and role of the primacy of honor of the bishop of Rome — a fact which as we have demonstrated cannot be proven from the acts and decisions of the Ecumenical Synods—we would stress that the reality we live today is completely different. After the First and Second Vatican Councils we have —according to Rome— fundamental dogmas of faith which belong to the “essential and unchanging structure of the Church”(14) and those who deny them are anathematized by the “ecumenical” Synod of Vatican I and this remains the case with the “ecumenical” Synod of Vatican II. Consequently, the attempt on the part of certain theologians to present the papal dogmas of Vatican I as having the same intended meanings as some declarations of papal legates or papal epistles in the early Church are clearly misleading. Additionally, the implementation of the “principle of diversity in unity” not merely in ecclesiastical customs of minor importance, but in the realm of basic ecclesiological dogmas which touch upon the very structure and being of the Church ecclesiologically unacceptable. If, according to the papal ecclesiology of Vatican I, the denial of the papal dogmas is evidence of a serious ecclesiological deficiency(15) then we do not have a Church of Christ, because a Church with ecclesiological deficiencies is completely unthinkable! Moreover, it is unthinkable that the western part of this “united Church” being established (?) can consider as ecclesiologically fundamental the dogmas concerning St. Peter and papal primacy and infallibility (as articulated by Vatican I and II) while the eastern portion denies them. Never in the life of the Church of Christ were dogmas considered obligatory for the faithful of a particular region (or ritual) while another region was given the ability to deny them. It is not comprehensible how we can belong to the same “united Church” where the Westerners must accept as a dogma of the faith necessary for salvation that the pope is infallible when he pronounces ex cathedra while the rest of the faithful are free to categorically deny this. It is obviously unthinkable that the Orthodox Church could accept the principle of “diversity in unity” as it has been articulated recently and equally so the proposal stemming from it formulated by the then-Cardinal Ratzinger, later pope Benedict XVI. Hence if the “principle of diversity in unity” as it has been presented in recent years, cannot be implemented to achieve the much-desired union of East and West, what would a suitable proposal look like for the overcoming of the division among Christians? I think the only hope for the restoration of ecclesiastical unity lies exclusively honest repentance alone; an honest repentance which presupposes and at the same time is realized only by a return in humility to the basic theological principles and presuppositions with the which the Church lived by in the time of the Ecumenical Synods. Humility will draw divine Grace and then unity will be achieved not by an untried, diplomatic compromise that relies on ambiguity of dogmatic expression which will only contribute to further bitterness and problems, but instead divine Grace will achieve the real and genuine “unity of faith and communion of the Holy Spirit”. * This article is the conclusions of the master’s thesis entitled “The Church of Rome and its bishop in the minutes and decisions of the Ecumenical Councils”, 2016, p. 400. (1) MANSI 17, 489B : “The holy synod said, each throne has ancient traditional customs, and concerning these there should be no disputation or quarreling one with another. The Church of the Romans guards her customs and this is fitting, while the Church of Constantinople guards her own customs which she has received from above and all of the sees of the East do in like manner”. The Synod however, as it mentions later, speaks about mass ordinations and not about the crucial theological issues which have implications for the very structure and essence of the Church and the faith such as the papal doctrines about Rome. 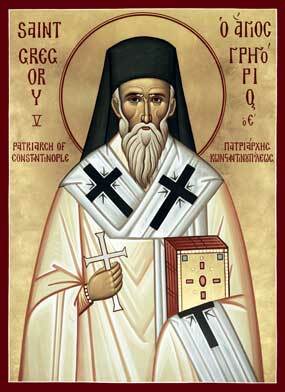 (2) For a detailed analysis from an Orthodox perspective of UR, see Fr. Peter Alban Heers, The Ecclesiological Renovation of Vatican II: An Orthodox Examination of Rome’s Ecumenical Theology Regarding Baptism and the Church, Uncut Mountain Press. Simpsonville, 2015. (3) “We can say without reservation that at the heart of the Decree we encounter the issue of unity and diversity. And even though the issue is raised explicitly in the three chapters of the text, nevertheless it emerges as mean of reading and comprehending the entire text”, See W. Henn, “At the Heart of Unitatis Redintegratio. Unity in Diversity”, Gregorianum 88(2007) 2, 330. “Decree on Ecumenism”, §16-18, found online at <http://www.vatican.va/archive/hist_councils/ii_vatican_council/documents/vat-ii_decree_19641121_unitatis-redintegratio_en.html>: “16. Already from the earliest times the Eastern Churches followed their own forms of ecclesiastical law and custom, which were sanctioned by the approval of the Fathers of the Church, of synods, and even of ecumenical councils. Far from being an obstacle to the Church’s unity, a certain diversity of customs and observances only adds to her splendor, and is of great help in carrying out her mission, as has already been stated. To remove, then, all shadow of doubt, this holy Council solemnly declares that the Churches of the East, while remembering the necessary unity of the whole Church, have the power to govern themselves according to the disciplines proper to them, since these are better suited to the character of their faithful, and more for the good of their souls. The perfect observance of this traditional principle not always indeed carried out in practice, is one of the essential prerequisites for any restoration of unity. 17. What has just been said about the lawful variety that can exist in the Church must also be taken to apply to the differences in theological expression of doctrine”, See also Ut Unum Sint § 57. The proposal of “unity in diversity” is put forth as the basis for the union of all Christians by Pope Leo XIII. The Synod of Constantinople answer him in 1895 in a letter contained in Karmiris’ collection of dogmatic documents, vol. 2, p. 934. [tr. An English translation is available online at the “Orthodox Christian Information Center <http://orthodoxinfo.com/ecumenism/encyc_1895.aspx>]. (4) According to J. Ratzinger : “Rome must not require more from the East with respect to the doctrine of primacy than what had been formulated and was lived in the first millennium . . . Rome need not ask for more. Reunion could take place in this context if, on the one hand, the East would cease to oppose as heretical the developments that took place in the West in the second millennium and would accept the Catholic Church as legitimate and orthodox in the form she had acquired in the course of that development, while, on the other hand, the West would recognize the Church of the East as orthodox and legitimate in the form she has always had”, From his Principles of Catholic Theology, San Francisco, Ignatius, 1987, p. 199. The suggestion of the then-Metropolitan Damaskinos of Switzerland is in the same vein («Τί τὸ μόνιμον καὶ τί τὸ μεταβλητὸν εἰς τὴν πετρίνειον διακονίαν. Σκέψεις ἐξ Ὀρθοδόξου ἐπόψεως»[“What is permanent and what is changeable in the petrine ministry. Thoughts from an Orthodox perspective”], Στάχυς, 52-67(1977-1981) 508, D. Papandreou, “Ein Beitrag zur Uberwindung der Trennung zwischen der romisch-katholischen und der orthdoxen Kirche” found in Vasilios von Aristi, Das Papsamt: Dienst oder Hindernis für die Ökumene? Regensburg 1985, p. 162, 166-167), τοῦ H. Scutte, in Chr. Savvatos (now Metropolitan of Messinia), Τὸ παπικὸ πρωτεῖο στὸ διάλογο μεταξὺ Ὀρθοδόξων καὶ Ρωμαιοκαθολικῶν [The papal primacy in the dialogue between Orthodox Christians and Roman Catholics], Athens 2006, p. 14 καὶ τοῦ E. Lanne, in Damaskinos’ article, «Τί τὸ μόνιμον καὶ τί τὸ μεταβλητὸν εἰς τὴν πετρίνειον διακονίαν. Σκέψεις ἐξ Ὀρθοδόξου ἐπόψεως», Στάχυς, 52-67(1977-1981) 516-517. • it considers as positive theological developments and progress what occurred in the second millennium regarding papal primacy. • it considers as theological progress the denial of the God-inspired, canonical, ecclesiastical order and tradition of the Ecumenical Synods. I ask that these observations not be taken as hostile or polemical against Roman Catholics, but only as an expression of grief as well as concern and vigilance for us Orthodox. (5) The position is explicitly formulated in “Cretan Draft on the Role of the Pope” in §§ 15, 22 and especially in § 32 : “The experience of the first millennium profoundly influenced the course of relations between the Churches of the East and the West. Despite growing divergence and temporary schisms during this period, communion was still maintained between West and East. The principle of diversity-in-unity, which was explicitly accepted at the council of Constantinople held in 879-80, has particular significance for the theme of this present stage of our dialogue. Distinct divergences of understanding and interpretation did not prevent East and West from remaining in communion. There was a strong sense of being one Church, and a determination to remain in unity, as one flock with one shepherd (cf. Jn 10:16). The first millennium, which has been examined in this stage of our dialogue, is the common tradition of both our Churches. In its basic theological and ecclesiological principles which have been identified here, this common tradition should serve as the model for the restoration of our full communion“. Metropolitan Damaskinos Papandreou takes a similar position in «Τί τὸ μόνιμον καὶ τί τὸ μεταβλητὸν εἰς τὴν πετρίνειον διακονίαν. Σκέψεις ἐξ Ὀρθοδόξου ἐπόψεως», Στάχυς, 52-67(1977-1981) 508. (9) Concerning the Unia in the theological dialogue with Rome see Th. Zisis, Οὐνία, Ἡ καταδίκη καὶ ἡ ἀθώωση [Unia, Condemnation or Acquittal ], publ. Vryennios, Thessaloniki 2002, G. Kapsanis, «Οὐνία, Ἡ μέθοδος τοῦ παποκεντρικοῦ Οἰκουμενισμοῦ» [“Unia, The Method of Papal-centric Ecumenism”],Παρακαταθήκη [Heritage], 60(2008), 3-10. For an historical approach to the Unia, see G. Metallinos, D. Gonis, I. Fratseas, Eu. Morarou, Bishop Athanasios (Yevtits), Ἡ Οὐνία, χθὲς καὶ σήμερα [The Unia, yesterday and today] publ. Armos, Athens 1992. For a more extensive bibliography regarding the Unia, cf. K. Kotsiopoulos, Ἡ Οὐνία στὴν Ἑλληνικὴ θεολογικὴ βιβλιογραφία [The Unia in Greek theological literature], publ. Vryennios, Thessaloniki 1993. (10) It is characteristic that Rome issued its decree “Decree on the Catholic Churches of the Eastern Rite” as “a kind of ‘insurance’ that the restoration of communion with Rome will not be carried out with any renunciation of elements of the non-Latin ecclesiastical traditions”. (11) Th. Zisis, «Ἡ οὐνία ὡς πρότυπο ψευδοῦς ἑνότητος. Τὰ ὅρια τῆς ποικιλομορφίας ἐν σχέσει πρὸς τὴν ἑνότητα» [“The Unia as a model of false unity. The limits of diversity in relation to unity”], – «Πρωτεῖον» Συνοδικότης καὶ ἑνότης τῆς Ἐκκλησίας, Πρακτικὰ Θεολογικῆς Ἡμερίδος [“Primacy” of Synodality and Unity of the Church, Acts of a Theological Conference], publ. The Holy Metropolis of Piraeus, Piraeus 2011, p. 107-114. (14) Congregatio pro Doctrina Fidei, Letter Communionis notio, § 17. 3 (28.5.1992), available online at www.vatican.va/roman_curia/congregations/cfaith/documents/rc_con_cfaith_doc_28051992_communionis-notio_en.html. (15) “Unitatis Redintegratio: Decree on Ecumenism” from the Second Vatican Council §3 found online here <http://www.vatican.va/archive/hist_councils/ii_vatican_council/documents/vat-ii_decree_19641121_unitatis-redintegratio_en.html>. I. Maragou, Οἰκουμενικὰ Α΄[Ecumenical Topics, vol. 1], Athens 1986, p.33, as well as the 29/6/2007 response of the Congregation for the Doctrine of the Faith (Congregatio pro Doctrina Fidei) of the Roman Curia, found online at <www.vatican.va/roman_curia/congregations/ cfaith/documents/rc_con_cfaith_doc_200 70629_responsa-quaestiones_en.html>.